Based on an interview with Anouk Lagae, CMO Duvel Moortgat. 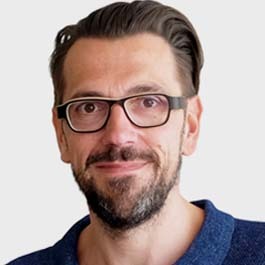 A few weeks ago I had the opportunity to meet the CMO of Duvel Moortgat, home of some cool Belgian beer brands with a global reputation such as Duvel; but it is also the company behind other cool brands such as Liefmans and Vedett. 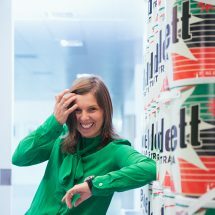 We focused on Vedett, because of its quite extraordinary history, its unique positioning in the lager market and also because of its success with Millennials. 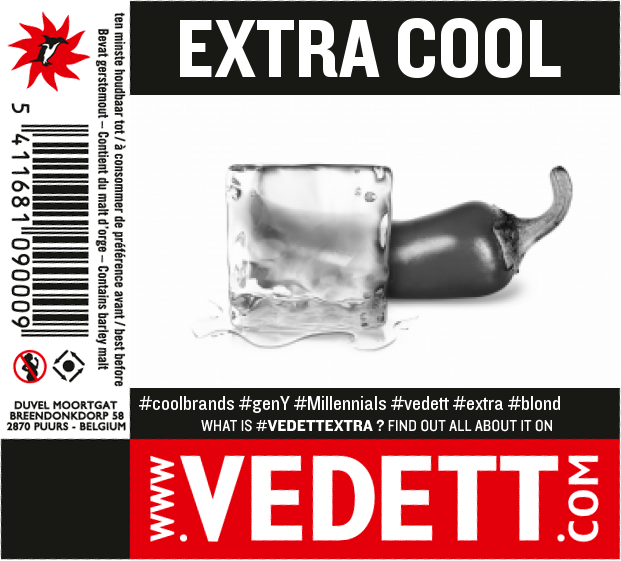 Vedett started off in a monolithical way, Vedett Extra Blond was both the brand and the product. 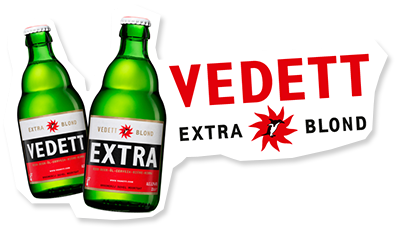 Meanwhile Vedett Extra White has joined the family, pushing the brand portfolio into a specialty direction. Thanks for this interview, Anouk. Could you elaborate on how Vedett turned into the cool brand it is today? 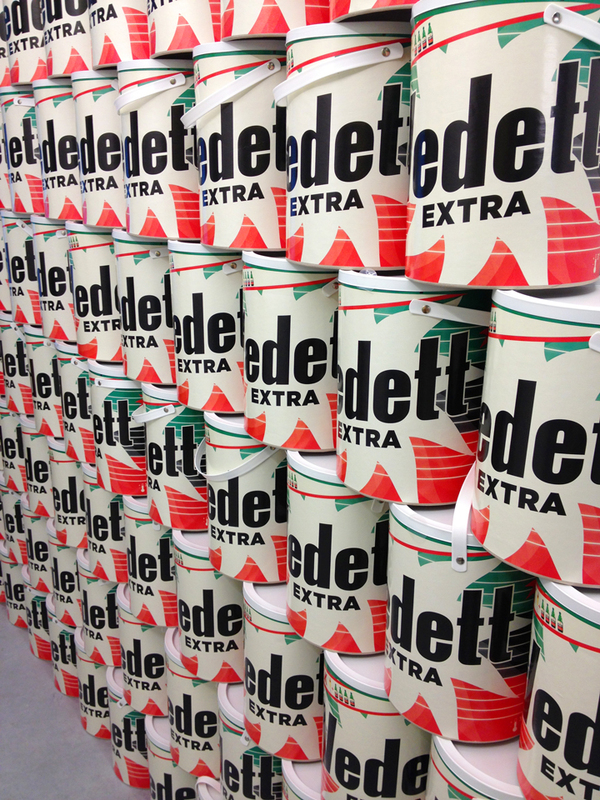 Vedett is a lager that has been in our portfolio since 1954. But barely anything was done with it. It was not supported. There was some sales volume but nothing like Bel pils these days (Bel is another Duvel Moortgat brand that the company is only using tactically since it mainly focuses on specialty beers). There was no focus on Vedett at all. Until one day Frédéric Nicolay came knocking on our door. Nicolay is a “hotel, restaurant and catering guru”, one could say. For example: he developed the Sint-Goriks area in Brussels (near the ‘Beurs’ and the AB) with cafés such as Zebra, Mappa Mundo, De Walvis, Café Belga and restaurants such as Bonsoir Clara and Chez Marie. Nicolay was interested in our beers, starting with Duvel of course. He visited the brewery and thought the Vedett bottle was interesting because it really looks retro. No changes had ever been made to it. He thought it was so cool and authentic that he wanted to offer it as a special unique lager in his cafés. He also thought something bigger needed to be done with the brand. So he helped re-launch Vedett Extra Blond. Co-creation “avant la lettre”, you could say, but as “‘hotel, restaurant and catering” partners, not with the consumer. The Moortgat family was open to strong ideas of entrepreneurs who feel what is alive in our society. At that moment reality TV was gaining in success, Big Brother types of programmes were becoming very popular. The idea that everybody was looking for their own 5 minutes of fame. Nicolay got the idea that a brand such as Vedett could turn anyone into a star (‘vedette’ in Dutch/French) by giving consumers the chance to put their own picture on the bottle. So we constantly changed the label on the back of the Vedett bottles with pictures sent in by people. Since then such a co-creation or personalisation campaign with consumers has become mainstream, but back then it was an “avant garde” idea. The first cafés to have a cool terrace with black awning and the Vedett logo were Nicolay’s cafés? Exactly. His suggestion of creating Vedett terrace chairs gave the brand its very own style. The Vedett terrace chairs haven often been copied, but back then they were rather revolutionary in the ‘hotel, restaurant and catering’ sector. The logo was barely visible, yet everything was perfectly balanced to create a brand in an anti-conformist style. It did the job indeed, because Vedett is now reaching the tipping point towards becoming a major player. It is especially in the consumers’ minds that the brand is very well-known. In comparison with major lagers, our sales volume is still relatively small, but we do also profile ourselves as luxury lager, which automatically means you segment towards a somewhat tighter-knit target group. Rather shortly after Nicolay’s introduction, Vedett was picked up by the creative scene. We started sponsoring all sorts of underground events, the right ones, but with actual beer, not with logos. The focus was to get the beer into the hands of the right type of people. The right parties, the right art galleries’ opening, everything in the creative circuit was on our list. Again: these days that makes sense, we now understand that such an approach to launch a premium product is ‘the ticket to success’, but back then it just felt right to work that way. Ever since, the ‘hotel, restaurant and catering’ story has expanded more and more towards distribution. We can definitely look back at a nice expansion story. Vedett is a cult brand or it used to be anyway. Since then Vedett has become more and more of a badge item. People used to drink it for its anti-conformist values ‘as such’, because it was not really established yet. But today there is a larger group of mainstream people who like the anti-conformist aspect, they think it’s interesting and fun and they want to adopt part of the image by drinking Vedett. That is today’s challenge for Vedett: how can we grow whilst maintaining our cult status at the same time? We try to maintain the brand’s rather alternative status even more than for other lager brands. How do you do that, specifically? Vedett is and always will be a bit of an anti-hero. For example, the logo is a penguin and we use the slogan “Penguins know why”. ‘Tongue in cheek’ humour compared to all the lager brands which have a very masculine macho approach in their communication and their sponsoring using slogans such as “Men know why”. A penguin happens to be the most physically challenged animal ever. It has nothing to do with power. Other brands use bulls etcetera, but a penguin is good at nothing. It does not fly, does not swim, does not really walk… it’s about the most disabled animal in the world, it’s not good at anything. That is why it fits with Vedett as antidote to the other brands which position themselves on power, masculinity and toughness. 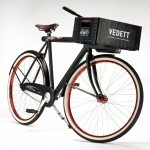 Vedett organised an eye-catching campaign recently with Freddy Maertens, a retired Belgian cyclist. Why cycling and why Freddy Maertens in particular? In fact he is a bit of an underappreciated hero, he was world champion cycling at some point, but nobody fully recognised him for his performances. So that is how he fits in with the Vedett image. 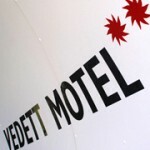 We had 100 special Vedett bicycles, 50 of which were used in a consumer competition and 50 of which were given as a present to managers of top hotels, restaurants and catering places. 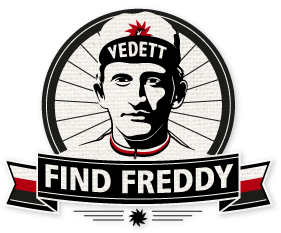 If we only look at the consumer part: we did hope it would break through just a tad more, that people would start talking about it and would really start searching for Freddy Maertens’ picture on the back of a bottle so they could win one of the Vedett bicycles. The idea did mainly live in the ‘hotel, restaurant and catering’ sector, but we cannot claim that the general consumer population was aware of it. 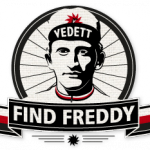 We aimed purely at social media to spread the message with our viral videos with Freddy Maertens. We never did any push, which was maybe wrong. Apparently videos which are spotted on social media are often boosted too, which is something we did not do. That is why we did not reach the critical masses. It lived among those who are interested in Vedett, but it did not reach the rest of the country. What were the objectives of the campaign? We aimed for 2 objectives. 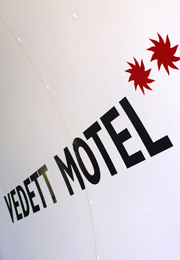 We wanted to give our Vedett hotel more awareness. It’s a bed and breakfast room built in a cement mixer truck which we also use as exceptional experience for consumers. The idea is rather crazy, actually. I still wonder what type of business case must have been prepared by my predecessor to present to Michel Moortgat (owner of Duvel Moortgat) and to say ‘Do you agree that we buy a cement truck and design its interior? Right, good idea, crazy, let’s go for it; which is great. But in the end we realised that not enough people knew about it. So we wanted to put the spotlights on the hotel. That is why we had an anti-hero drive the truck / hotel around and we filmed it. And then we also had the bicycles of course. We bought them to reward loyal clients in the ‘hotel, restaurant and catering’ sector. So we tried to combine both campaigns, but the story may have become somewhat too complex. In the end the campaign was appreciated a lot by all those who participated in it and who understood what it was all about. We missed the general masses because it was probably slightly too complicated and we may also have started with a too small snowball effect. But then again, you win some, you lose some. It’s trial and error. Sometimes a small thing turns into something huge, unexpectedly, and sometimes it’s the other way around. The new summer campaign focusses on the EXTRA aspect: the flavour, the ingredients. Why did you choose to focus on product characteristics? 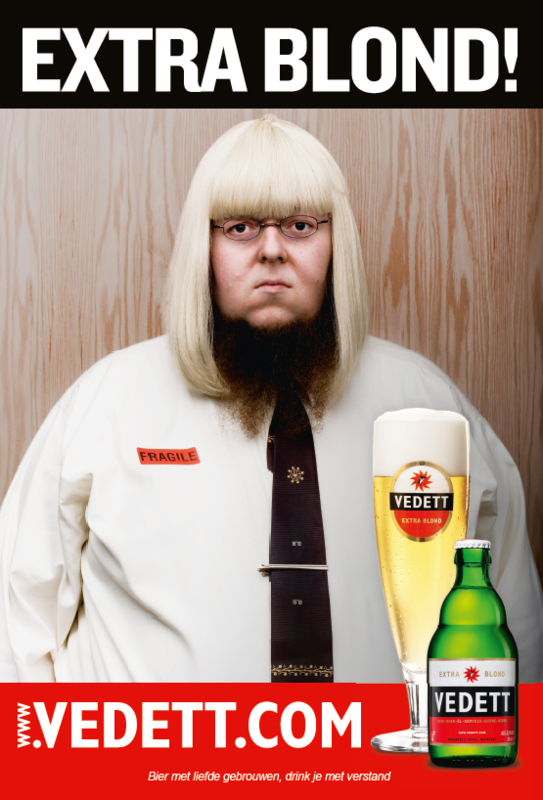 In fact Vedett is really a very noble beer. Before I started here as CMO I did not know that, I simply thought it was a hip and cool beer, I did not know anything about the art of brewing. I did not know how much science and dedication and passion and time were involved. And then I talked to our brewers. I asked them “Why are we a luxury lager, apart from the fact that we charge more for it?’. They immediately gave me about 7 reasons which convinced me to such an extent that I was shocked I was only told about them there and then. Had I known all that 5 or 10 years before, I would have been even more in love with the Vedett brand. And we never talked about it before. I understand we cannot simply say ‘and now for hops’ etc., that is not Vedett at all. But I do think we should focus on an intrinsic story towards our consumers in a playful and Vedett-like way. So we chose 6 intrinsic characteristics which are in fact derivates of why our lager is better than the others. Example: we use rice, one of the noblest ingredients, as source of carbohydrates, so that is effectively more expensive than malt etc. We rest it twice as long as most other lagers, during which it undergoes secondary fermentation. We have more carbonation, more CO2 (bubbles), which gives a nice tickle in the mouth and a more refreshing sensation. It’s a very pale lager. The paler the colour, the better the excellence of brewing, because it’s so much purer and you can’t hide anything; you don’t get away with anything. In fact, the paler you manage to brew your beer, the more you master the brewing techniques. So we chose 6 of those product characteristics, and then the challenge was: how do we talk about those 6 in a Vedett-like style? It can easily turn into a boring product message for an alternative brand such as Vedett, if you’re not careful. I think there is a lot of potential in this digital campaign; you can use it in many situations and touchpoints as creative platform. Extra year and birthday, extra baby, in the end there is something EXTRA for everything. Exactly, and when you hand it to consumers, it is fun. That’s when the idea really starts to live. Someone posted a picture today of a crate of Vedett which fell on the ground; it was “extra sorry”. But every day, every situation has EXTRA moments. We just had a meeting together and immediately came up with 5 extras. So time will tell, but it could possibly be a very powerful campaign. However it will only live if it is endorsed by the consumers. So we can’t just say “Hi, extra…”, we have to let it live. So now there is the outdoor poster campaign. First we played with the idea of putting 6 intrinsics on a poster, but once people have seen them, that is it. You could then use others, or the same ones with different images. But we thought about the people who do not know Vedett and who don’t know anything about it, and all of a sudden they see “extra bubbles” for a beer, which is very confusing. It really is one step too far if you are aiming at the large group of people in the streets. So we decided to stick to our general Extra Blond for this outdoor campaign. I also think it’s a good idea to not try and manage too many things yourself and to partly let go of the brand and the campaign. That fits better with both Vedett’s DNA and the Gen Y DNA. Indeed, at Coke they are very good at continuing an idea into infinity. Unfortunately we don’t have that muscle as yet, nor the culture to do so. But you do take a risk because if unlucky you will only have a minor impact. You do put in the resources, but I think that’s also partly Vedett’s authenticity. You do minor campaigns, some work, others don’t. In the past winter, around the Christmas holidays, we did the washing-powder barrel campaign.Very destabilising, again. It reminded somehow of the idea of extra white, whiter than white, Vedett lager is whiter than white, exactly as they state it in the washing-powder adverts. Yes, why not create clotheslines in the supermarkets, or literally position our beer between the washing-powders, destabilising. Our end-of-year gift pack (4 bottles and 1 glass) was totally different than other beer gift packs. Unique and again tapping into nostalgia. 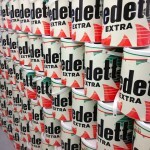 Because everyone grew up with that washing-powder barrel, it’s a remnant of past glory, as is Vedett, and of course it catches the eye in the shop and it fits with Vedett as a brand. This summers bus shelter campaign is actually the first time that we tap into the mass media. We hesitated a long time whether to do it or not. Could we simply buy a campaign for an alternative brand such as Vedett? But then we thought ‘yes, there are many authentic cult brands’. It’s more about what you bring and how you bring it than about where you bring it. We have always been proud. Vedett creates its own media, the barrel; the hotel, our terrace seats, our terrace awning… We have never yet paid a penny to make the press or to reach eyeballs. So we hesitated a long time, but we will try it; and if we respect the authenticity of the content, we should succeed. 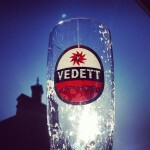 Apart from Vedett’s success in Belgium and the Netherlands, are there any plans to turn it into an international beer? Like the brewery did for Duvel, for example? Our strategy is to be the market leader in the specialty beers niche. Even internationally. But we mainly aim for the specialty beers. So Vedett is about the limit of our portfolio, as it is a premium lager. So internationally our focus is not yet to go global. But we do notice that there is an increasing level of appeal, and if opportunities arise we will not let them go by. And so China, Japan, for example, they are going crazy for Vedett, especially Japan, for Extra White that is, but also China. Those are our main markets for Vedett, in fact: Belgium, the Netherlands, the UK, Japan and China. Why are Japan and China in the list? Really, I would think that it’s all about the ego, me myself and I, premium, luxury, me, it’s the ultimate gratification, also that I can be on the pack myself. So you use the same personalization of the bottles there too? Yes, consumers all over the world can send in pictures. So definitely yes. And it’s also simply a very trendy brand for them. I can totally understand that for Japan, the creative feeling about the brand is appealing to the trendy lifestyle of young Japanese urbans. Thank you for this interview, Anouk, and good luck with the new EXTRA summer campaign and with your brand!